In the 1960s, VW created a famous ad for the American market, asking, “How does the snow plow driver get to work?” The answer, as you’ve probably guessed, was in a Beetle. I was reminded of that ad when I heard that Urban Motor’s Peter Dannenberg had commissioned another builder to create a bike for him. 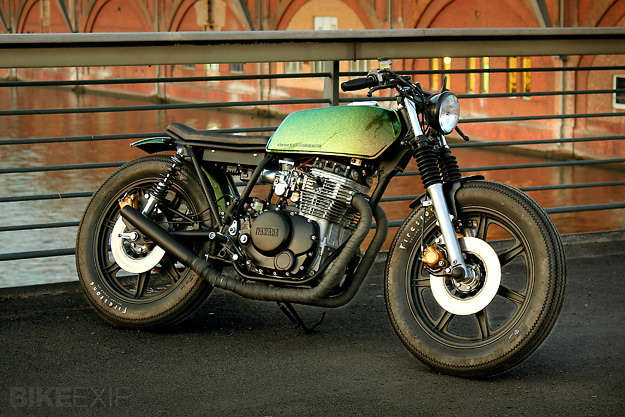 What sort of vehicle would you build for the owner of one of Europe’s top custom workshops? 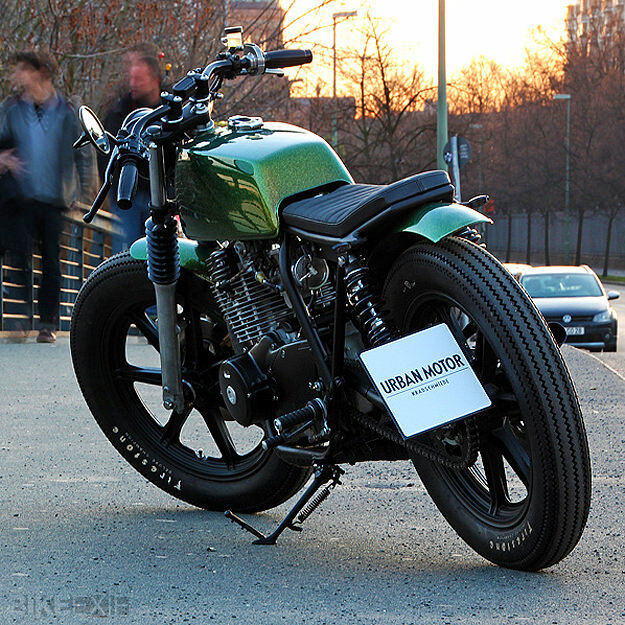 The answer is this very sharp-looking Yamaha XS400. Urban Motor is famed for its BMW customs, so you can see Dannenberg’s logic in contracting out a Japanese build. 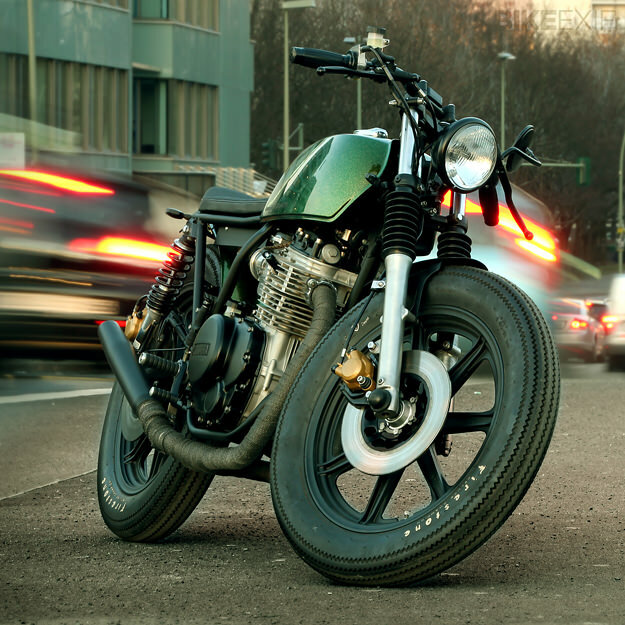 Especially when this 1978 XS400 is a recreation of a youthful dream for him, dating back to the days when 400cc was considered plenty enough for most motorcycles. The man that Dannenberg entrusted the build to is Ralf Ahrens; Dannenberg had a clear idea of what he wanted, and Ahrens turned it into reality. 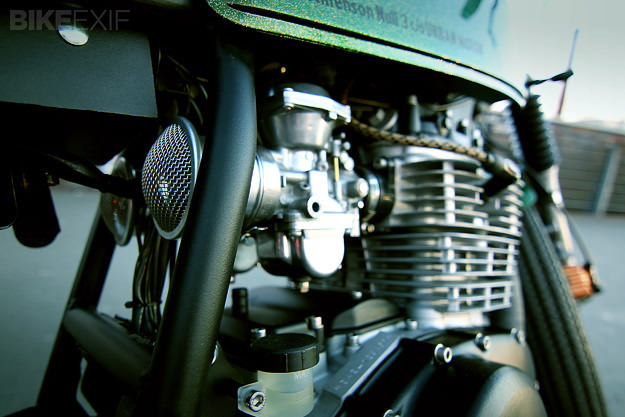 The core structure of the XS400 is unchanged, but everything around it has been upgraded. After restoring the essentials, Ahrens fitted LSL bars with Beston grips, new multi-functional switchgear, a Domino throttle and a Tommaselli clutch lever. The brakes are upgraded with Brembo PS13 master cylinders and Stahlflex brake lines for extra control. 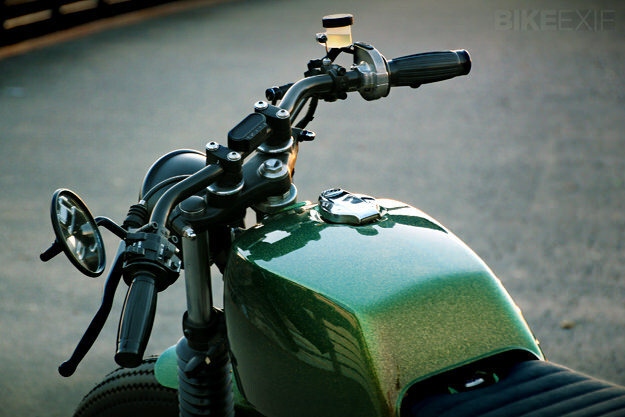 The footpegs are Tarozzi and the headlight is the ubiquitous Bates. Ahrens then modernized the electrics using Motogadget parts, including an m-Unit control box, m-Blaze turn signals, and a Motoscope mini instrument. Juice comes from a Durbahn A123 battery weighing just over three pounds. Custom parts include the alloy front and rear fenders, and the 2-into-1 exhaust system—wrapped with black Thermo-Tec, from the creators of the original exhaust insulating wrap over 25 years ago. Ahrens also shortened and bent the rear frame, and fitted a handmade seat with a leather cover. 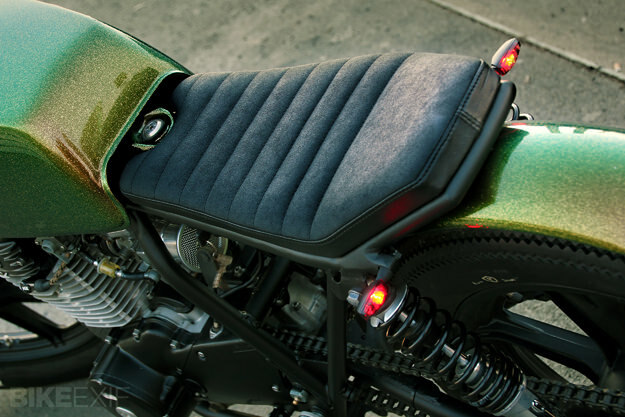 Ikon rear shocks were slotted in to tighten up the back end, and then the color was applied to Dannenberg’s specification—a beautiful, glittering metallic green flake. It’s a quality build, worthy of the Urban Motor badge itself. And it’s worth keeping an eye out for the Ralf Ahrens name in the future too. Images by Sven WDMYR at Wheels of Stil.